The current newsletter of the Poul la Cour Foundation offers kudos for the new book by Paul Gipe, Wind Energy for the Rest of Us. The foundation honors the work of inventor and teacher Poul la Cour. Often called the Danish Edison, Poul la Cour is widely regarded as the father of wind energy. More than 125 years ago he was among the first to generate electricity with a wind turbine. Many of the principles he established then are still being used today. 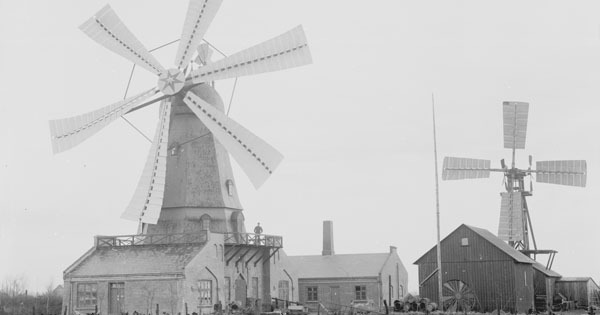 The book devotes two entire chapters on the history of modern wind energy in part to counter revisionist historians in the English-speaking world who denigrate Denmark’s pioneering role. 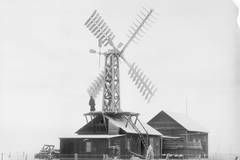 Few know, for example, that in 1919 Danes installed the first wind turbine in the world to feed alternating current into an electrical network. This accomplishment preceded by more than two decades the more widely publicized interconnection of the Smith-Putnam turbine in Vermont. While the Smith-Putnam turbine was a technological dead end, development continued in Denmark and became the foundation for today’s modern wind energy industry. Poul la Cour Foundation Newsletter January 2017.